Spoiler alert! Eggs are not bad for your cholesterol, nor are they bad for your health. Feel free to take my word for it, or read on and hear why eggs are one of nature's greatest foods. Wait, aren't eggs high in cholesterol? Yes, eggs contain a high amount of cholesterol. One large egg has about 200 mg of cholesterol. - Dietary Cholesterol Isn't Bound to Blood Cholesterol. There is little-to-no relation between dietary cholesterol and higher blood cholesterol levels, nor any legitimate link between dietary cholesterol and the incidence of heart disease. - The Human Body Makes Cholesterol.Your liver makes 3-6 times more cholesterol than you can get eating eggs and/or other animal products. - Cholesterol is Vital To Your Body. You need it for the production of steroid hormones like testosterone and also to build & repair cells (which is a perpetually occurring process in the human body). So yes, eggs themselves are high in cholesterol, but no, consumption of eggs does not cause a spike in human cholesterol levels. OK, but aren't eggs high in fat? Shouldn't I avoid the yolks? Yes, eggs are fairly high in fat. Roughly 5 g of fat per egg to be precise. About 2 g of that fat is saturated fat, which of course means that the other half is unsaturated. Coincidentally, the ideal ratio of dietary fat in humans is a 1:1 saturated fat to unsaturated fat ratio, making the fat ratio in eggs nearly perfect. - More Vitamins. The yolk is full of vitamins A, D, and E. Vitamin D is especially important since most people are vitamin D deficient, and eggs are one of only a handful of foods that provide dietary vitamin D.
- Twice The Protein. Eating whole eggs doubles the protein intake you'd get eating egg whites only because the yolk contains half of the protein (3 g of the 6 g). This protein also happens to be the highest quality protein in the world, according to the Protein Digestibility Corrected Amino Acid Score (PDCAAS) of the World Health Organization. - Increased Testosterone Levels. Saturated fat and cholesterol increase testosterone production. Both are heavily present in the egg yolk. Testosterone levels help build muscle, which is something that almost everyone could use more of, especially as we age (even you ladies!). 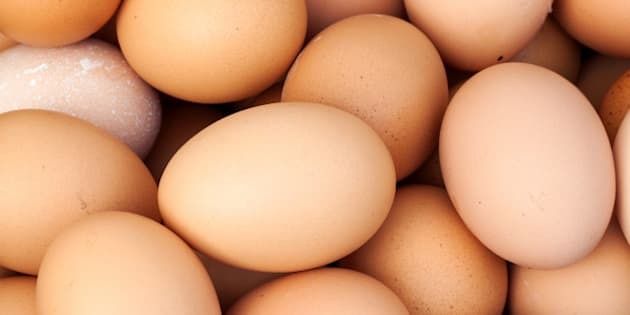 I used to eat two or three whole eggs daily, then switched to two whole eggs and two eggs whites, then four whole eggs a day, and now sometimes I eat up to six or eight whole eggs in a day. My current blood work is nearly perfect, according to my physician. Adam Bornstein over at Livestrong.com recently did his own 'Eggsperiment' and after adding three whole eggs to his diet daily for three months, his blood work showed a small decrease in bad blood cholesterol (LDL), a rise in good blood cholesterol (HDL) and a decrease in body fat percentage (13 per cent to 12 per cent). Sure, he was already healthy before starting this experiment, but the addition of eggs made him healthier than ever before. It's pretty cool stuff. Still concerned about your cholesterol? - Exercise. This will make you lose fat and improve your health. - Eat Lean. No more junk food, soda, trans fat or refined sugars. If you can strike these "foods" from your diet, you will be absolutely astounded with the results. - Drink Green Tea and Coffee. The antioxidants in green tea keep your LDL particles in check, preventing blockages in arteries. Green tea and coffee can also boost your metabolism, leading to increased fat loss. In conclusion, eggs are magnificent. They are delicious, satisfying, full of vitamins and minerals, and of the highest quality protein in the world. Eggs will make you stronger, healthier and better looking (probably). Eat them every day. Thank me later.